The classic holiday film, “A Christmas Story,” will be the featured theme for ICE! at this year’s Christmas at Gaylord Palms, the resort revealed this week. 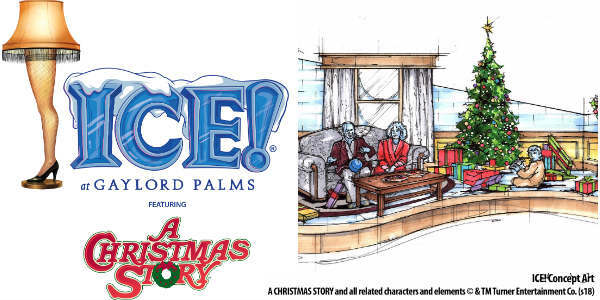 The hilarious family tale will come to life through hand-carved ice sculptures and displays, inviting guests to relive the film’s iconic scenes such as The Old Man’s Major Award, Aunt Clara’s pink nightmare, and the ultimate triple dog dare at the school’s flagpole.